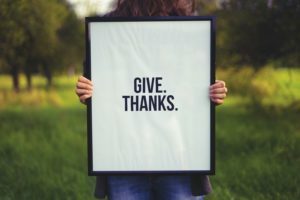 For many of us, this time of year offers an opportunity to give thanks and express gratitude for the people and things we appreciate and value in our lives. 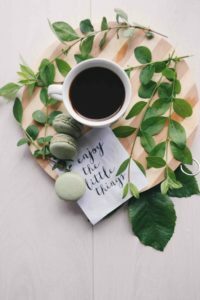 Taking stock and being grateful during the holidays is a good place to start, but studies have shown that those who practice this kind of reflection on a regular basis have a greater sense of satisfaction and purpose in life. In addition, they are less prone to depression, have stronger immune systems, and feel less lonely and isolated. Given our recent post on helping teens manage stress, we wanted to offer some pointers on how parents can help inspire gratitude in their children’s lives, which can contribute to shifts in perspective and overall resilience. Turn gratitude into a habit. This can start with simply encouraging your children to find at least one thing a day that they are grateful for until it becomes second nature. Spending ten minutes every morning writing down these items and reflecting on what went well for them the past few days or week can also be incredibly effective. Each semester at Green Ivy, we have students reflect on what’s working in their lives and what they want to change going forward. We’ve seen these types of writing exercises lead to large shifts in habits. Count your blessings. So often, experiencing gratitude is a matter of changing our perspective. Many children don’t realize that things they may take for granted—healthy food, quality education, reliable transportation, consistent shelter—aren’t automatic amenities. Exposing your children to less fortunate populations who struggle to obtain the basic necessities of life can be eye-opening. As we posted about recently, volunteering is a powerful way to teach the importance of service, while developing empathy and exposing your children to diverse opinions, backgrounds, and belief systems. Find the silver lining. Everyone experiences bad days, challenges, and failures to some degree. Although it’s important to acknowledge your children’s feelings when something goes wrong, it can also be empowering to aid them in finding the silver lining of a given situation. Maybe they suffered a loss, but it will ultimately make them stronger and more resilient. They might not have made the team, but this experience taught them how to deal with disappointment. This may take a little practice, but remind them that their brain is a powerful tool, and rewiring it in this way can boost their sense of gratitude. Write thank you notes, no gift required. 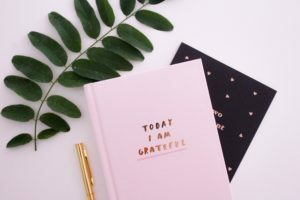 A fantastic exercise in gratitude is writing a letter of thanks to someone expressing your appreciation for that person’s impact on your life. Helping your children get in the habit of sending at least one gratitude letter a month to someone new will add to an overall routine of reflection, and it doesn’t hurt if your children write letters to themselves once in a while as well. Lead by example. Of course, one of the best ways to cultivate gratitude in your children’s daily lives is to practice all of the above suggestions yourself. The smallest of gestures, like thanking the cashier at the checkout, opening doors for strangers, or taking time to appreciate those around you will leave a lasting impression on your children. If they see you regularly expressing gratitude, they’ll be positively influenced to do the same.